France got off to a slow start at the World Cup but four goals against Argentina last weekend will be a stark reminder to Uruguay of what they are capable of producing when the two sides meet in the quarter-finals on Friday. 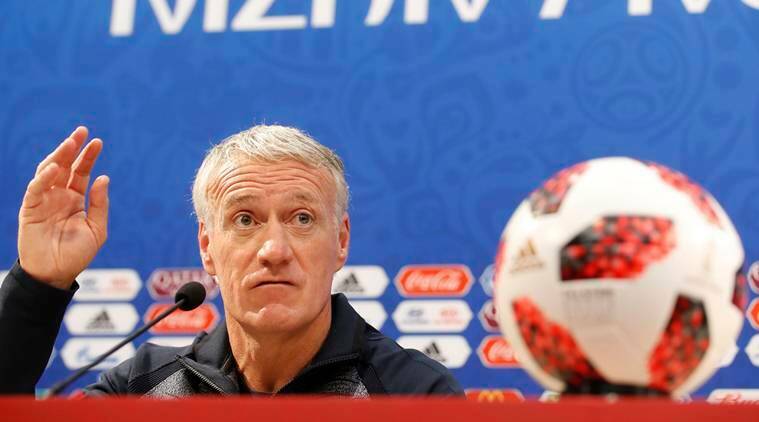 Didier Deschamps’ men were always among the tournament favourites but an underwhelming set of warm-up internationals plus a timid start in Russia suggested their reputation rang louder than reality. That was dispelled last Saturday in Kazan as 19-year-old Kylian Mbappe and cohorts thrilled in a 4-3 victory over Argentina in the last 16. Not only did the French midfield cleverly nullify the threat of Lionel Messi, but upfront the pace of the teenager and his combination with team mates showed what their squad can achieve. “The group matches were laborious at times,” agreed assistant coach Guy Stephan, of their two wins and one draw in Group C. “But it must be understood that we came up against well organised opponents. No more will that be needed than against Uruguay, who have conceded just once in the tournament and pride themselves on their stingy defence. “They are a compact block, tightly aligned next to each other and with a massive solidarity,” added Stephan. But if any side has the armoury to break them down, it is France, with Mbappe at the attacking helm and Antoine Griezmann and Olivier Giroud alongside. “I don’t think France has had as powerful an attack since 1998 when they won the World Cup,” said former Croatia coach Slaven Bilic, who is a TV pundit in Moscow during the tournament. “When I saw Mbappe sprinting some 70 yards to earn France a penalty, I thought to myself ‘that’s incredible’,” former Switzerland striker Stephane Chapuisat told reporters this week. Mbappe feeds off team mates as much as he contributes to the collective. “Mbappe is not going to have a 10th of the space against Uruguay that he got against Argentina,” predicted former Uruguay international Diego Lugano of Friday’s match at the Nizhny Novgorod Stadium. Should they win, France will face either Belgium or Brazil in the semi-finals. A clash against Brazil would evoke memories of France’s only World Cup title triumph 20 years ago, certainly an inspiration if needed to get past Uruguay.